The earrings from the “Bolero Pack” are really something. Discreet gold-plated earrings, each with a white Swarovski crystal as the star, exuding brilliance and luminosity, and two smaller crystals. And the bonbons… what can be said about the bonbons. The best thing to do is to try them, and share them! “Single Rivoli” Earrings: These earrings have various traits that render them classics in the world of accessories. They are delicately long, stylizing the neck and face. They combine gold plating with Swarovski crystal, bringing light. The design is classic and discreet, so they will never go out of fashion. 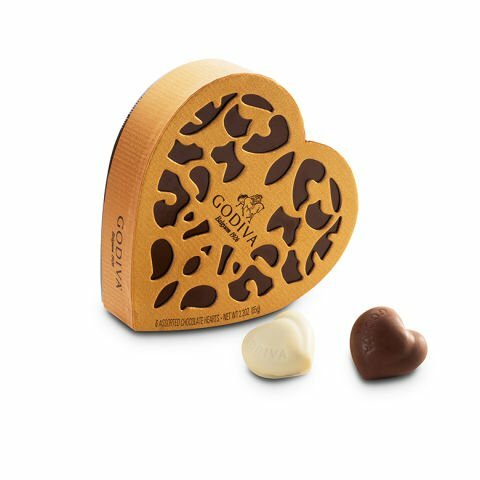 Godiva Heart Bonbons: In a beautiful heart they are multiple elements of happiness, surprise, complicity…with a chocolate taste! A Godiva chocolate taste, one of the most revered in the world of confectionary. Jewels of chocolate with a jewel that can really impress. The jewels are the star of this giftset. 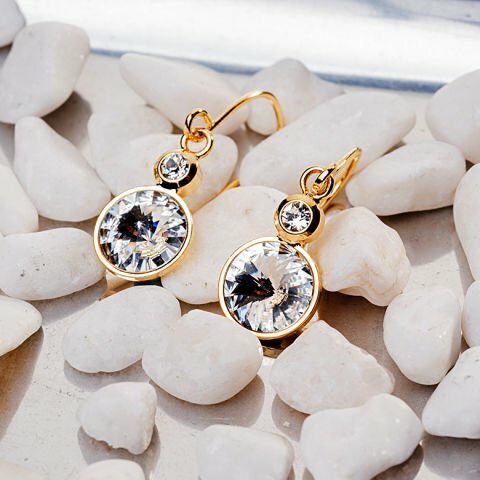 The selected gold-plated Swarovski crystal earrings, designed by MyCollection, just like the Godiva chocolate truffles, are the richest of treasures, which are to be enjoyed in those special moments. She will be able to recognize the love that you feel for her with the gift.